Many polytunnel gardeners will grow only annual crops in their polytunnel gardens. They will create a system of crop rotation which allows them to grow annual crops in their polytunnel year after year. But those who are not growing any perennial plants in their polytunnel are most definitely missing out. Now is the right time to order perennial plants for autumn planting, so this could be one job to add to the to-do list for the month. Why Grow Perennial Plants in Your Polytunnel? Creating a perennial growing area in your polytunnel can offer excellent value for money and can mean less effort on your part for a higher quantity of food. Since you will only need to plant perennials once and enjoy food year after year, you will find that growing these things can lessen the load and mean you will expend less effort and less time to manage and maintain your polytunnel garden. What Perennial Plants Could I Consider Ordering For My Polytunnel? Trees are best planted during the dormant period, and so can be ordered this month for delivery in the autumn and planted out after the first frosts. You may not have considered planting trees in your polytunnel but even a small polytunnel could accommodate a small fruit tree. Dwarf varieties can be planted in the soil of a perennial growing area and many are also suitable for growing in a large container. 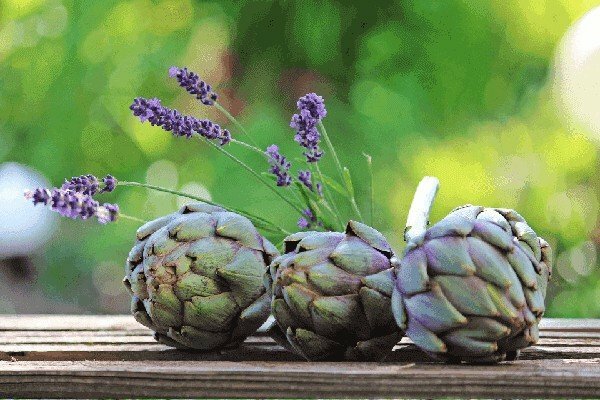 Common perennial vegetables include the globe artichoke and asparagus. But there are plenty of other perennial vegetables that you could consider, including a range of interesting and nutritious leafy greens and perennial onion alternatives. Some perennial vegetables can be grown from seed, though you may find it easier to establish a perennial bed in your polytunnel by purchasing plants to place in the autumn instead. Of course, many common herbs are also perennial. Planting a mixture of perennial vegetables and herbs around the base of fruit trees can be beneficial, helping to reduce pest problems and attract beneficial insects. You could grow perennial herbs from seeds, but may also like to consider ordering plants to get a head-start on creating a fruit tree guild. Do you grow perennials in your polytunnel? Let us know how you have been getting on in the comments below.